DP PERCUSSION - AUSTRALIAN designed drums and accessories using proven design concepts with a focus on reliability and value for money. 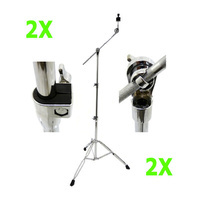 2 X CB-3450 Straight Cymbal Stands - Best quality straight cymbal stand available in this price range. 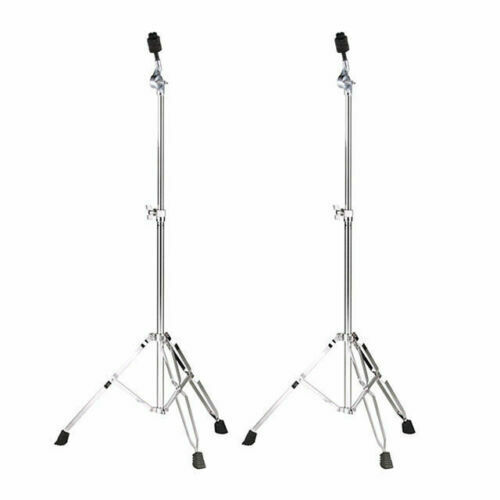 Double braced medium- heavy duty cymbal stand featuring 3 tier height adjustment, 8mm cymbal wing nut, heavy duty rubber feet and ABS inserts on height adjustment points to prevent damage to vertical pipe and ensure solid locking and reliability. 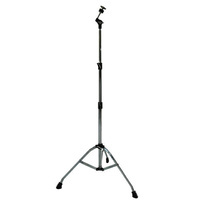 Double braced base with heavy rubber feet ensures stability. ABS insert at top of legs ensures no metal to metal contact and smooth adjustment, while 8mm wing nut provides secure locking and reliability. 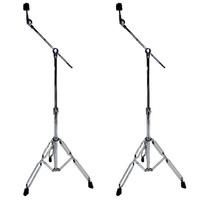 Height adjustment point with proven design make these stands among the most reliable available. ABS insert provides smooth sliding when undone and tight locking when done up, without needing to over tighten. 8mm bolt and wing nut ensure years of reliable use without parts failing. 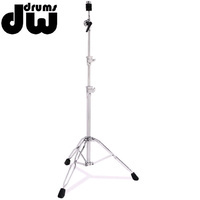 Tilter with ABS sleeved washer and wing nut ensure free and quiet movement of cymbal without metal wing nuts slowly undoing and noisy washers vibrating on stand.